Lao PDR is the most heavily bombed country per capita, in history. 25% of villages in Laos are contaminated with UXO. 14 of Lao PDR’s 17 provinces suffer UXO contamination. More than 2 million tons of ordnance were dropped in Laos between 1964 and 1973. 580,000 bombing missions were flown over Laos. 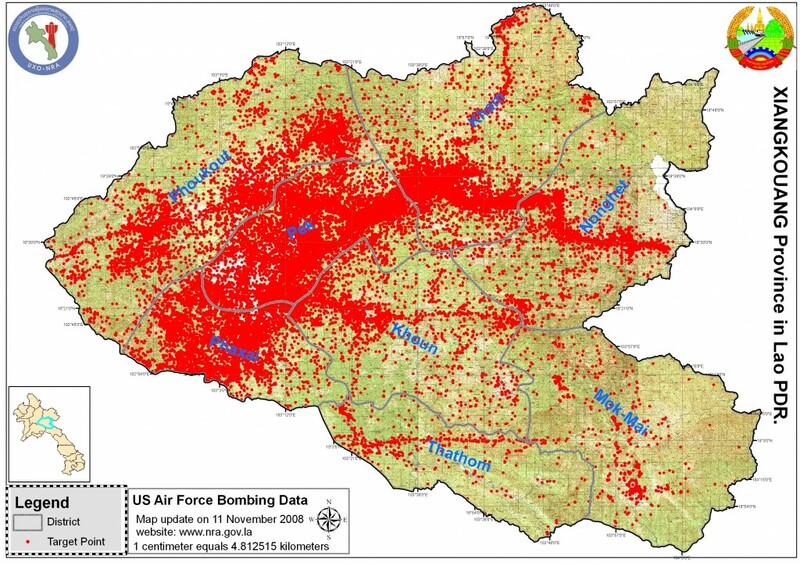 More than 270 million bombies were dropped in Laos. Up to 30% failed to detonate. Approximately 80 million unexploded bombies remained in Laos after the war. Over 50,000 people have been killed or injured since 1964. There were approximately 45 new casualties in Laos in 2014. In the last decade, 40% of all casualties were children. On average, there are 5.53 UXO casualties per village in Laos. Xieng Khouang is the second most heavily UXO contaminated province in Lao PDR and the fourth poorest. Xieng Khouang has more than 6,840 UXO casualties. With an average of 12 UXO casualties per village, Xieng Khouang has more than double the country’s average. The map below depicts the extent of the bombing in Xieng Khouang province. QLA’s office is in Phonsavanh, Pek District. In 2011, QLA became the first Lao civil society organization providing assistance and support to victims of unexploded ordnance (UXO), people with disabilities (PWD), family members or care givers and UXO affected communities in the Xieng Khouang Province in northern Lao PDR. 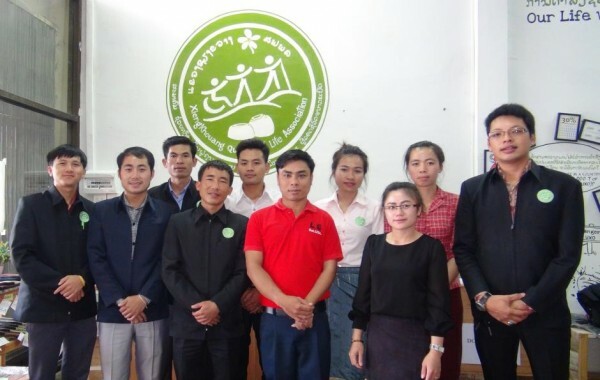 In the two years leading up to this, QLA’s victim assistance activities were part of a branch of World Education Laos (WEL), which comprised 2 UXO survivors amongst its staff, who went on to become QLA’s first staff members. Both of these men were concerned about the lack of peer-based assistance to UXO survivors, many of whom could not return to school or help their families. In 2009, WEL received funding from The McKnight Foundation to transition QLA into a provincially registered non-profit association (NPA) and establish the UXO Survivor Information Centre in Xieng Khouang province. Creation of the Visitors’ Centre was funded by GIZ (German Development Service). Registered as an NPA in September 2011, QLA’s operational team and Board of Directors are made up of Lao nationals, several of whom are UXO survivors and PWD. In July 2015 QLA had its first independent external financial audit. QLA is Lao people helping Lao people to attain quality of life. To advocate for the empowerment of UXO survivors and people with disabilities and to co-ordinate medical, psycho-social, rehabilitative, education, livelihood and development programs to achieve social and economic inclusion of QLA’s target group and their quality of life. UXO survivors, family members and PWD in Xieng Khouang Province have access to the medical and rehabilitative treatment they need and all of QLA’s target group members have a new quality of life from their full and equal inclusion in their communities. The QLA is a sustainable organisation that is responsive to the needs of its target group and continuously improving. As a provincially registered civil society organisation, QLA operates only in Xieng Khouang province, the second most bombed province in Laos. Advocate for disability rights and the inclusion of people with disabilities and UXO survivors in their communities. Increase the access to general medical and rehabilitative treatment/services for UXO survivors and PWD. Provide support for access to education for QLA’s target group members. Implement livelihood and development programs for poverty eradication for QLA’s target group members. Continue to build the capacity of QLA to become a sustainable not for profit association for the long term. Secure the necessary funding for QLA to operate. QLA’s target group includes UXO victims, their affected families and communities, care givers, people with disabilities and impoverished families living in UXO affected communities in Xieng Khouang province. QLA’s approach towards its target group is non discriminatory, inclusive and community based and accords with the Conventions on Cluster Munitions and the Rights of Persons with a Disability. Article 5 of the Convention states that there should be no discrimination ‘…against or among cluster munition victims, or between cluster munition victims and those who have suffered injuries or disabilities from other causes.’It also says that any differences in treatment should be based only on their individual needs. The human cost of a UXO accident can be huge. Families often do not have the money to pay for the required care and rehabilitation and usually need to sell something, such as land or a farm animal, to pay for medical treatment which can be a cause of families becoming very poor. At the same time, UXO survivors still need to rehabilitate the quality of their lives in order to support their families in the future. After their accident many UXO victims or surviving family members experience discrimination, exclusion and/or cultural issues because some cultures believe that a person injured by UXO is a bad luck person and nobody wants to associate with them. Importantly, most families in which a family member died from UXO become even poorer after paying for the cost of treatment and in many cases they also suffer loss of income because the person who died was the bread winner for the family. For many communities in Xieng Khouang Province, their poverty is exacerbated because they are not able to farm due to the high concentration of UXO on the land. UXO accidents commonly occur when people digging or burning on their farms. In most cases, once a UXO accident occurs on a farm the family no longer uses the land due to the presence of UXO and fear for their safety. Despite their dedicated and ongoing work, UXO clearance operators have yet to reach many areas in Xieng Khouang Province. With its poverty headcount ratio at 42% Xieng Khouang Province is ranked as the 4th poorest province in Lao PDR (ref: Employment and Livelihoods Lao PDR, 2009, 4th National Human Development Report). People with disabilities are over represented among people living in extreme poverty because disabilities can exacerbate poverty and poverty can increase the likelihood of disability (ref: Disability, Poverty & Livelihoods, Guidance from Trickle Up, 2013). 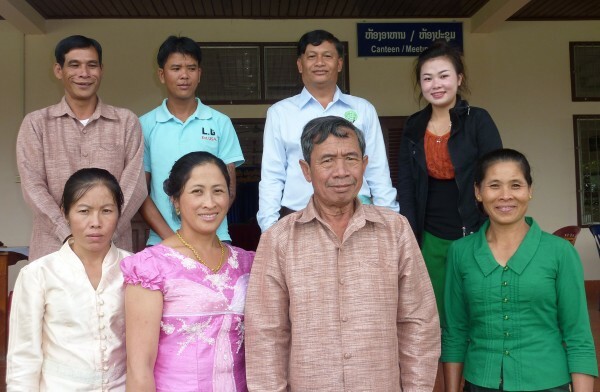 Selected in January 2013, five of QLA’s eight Board members are UXO survivors. The concept of UXO survivors helping other UXO survivors originated from the QLA stakeholders’/advisory group. With equal numbers of male and female representation, the Board has a gender balance. The President of the Board is Mr Khamkone Phaioudone, a former Vice-Governor of Xieng Khouang Province. The QLA membership comprises UXO survivors, people with disabilities and family members/care givers. QLA’s stakeholders’ meetings include the QLA membership, government representatives, iNGO’s and people who are interested to follow the progress of QLA, share their opinions and ideas and promote the vision of QLA. The QLA stakeholders initially met annually, however, in 2014 this increased to two meetings per year due to the growing level of interest.